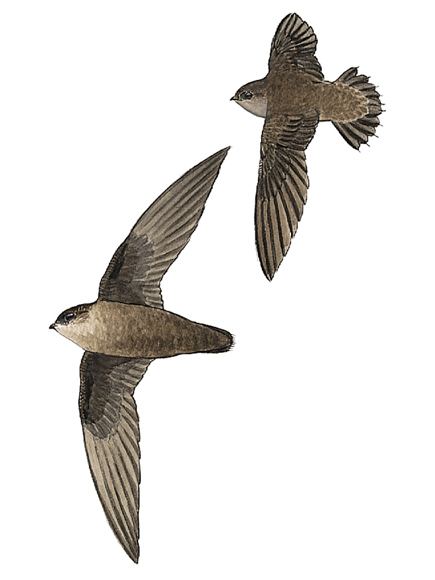 This time of year some of the more interesting bird movements to look for are those of the Chimney Swift andCommon Nighthhawk. In the evenings, about an hour before sundown, look to the sky for small, dark birds gathering in flight. Their numbers will grow and as they amass they will begin to form a funnel, circling round and round as they eventually begin to descend. They are in the act of settling into a roosting sight for the night. I have seen this occur many times in downtown Nashville. Chimney Swifts are a ”cigar-shaped” bird with a short stubby tail, and measure about 5 ¼” in length. They are sooty gray to dark gray with long wings that come to a point. 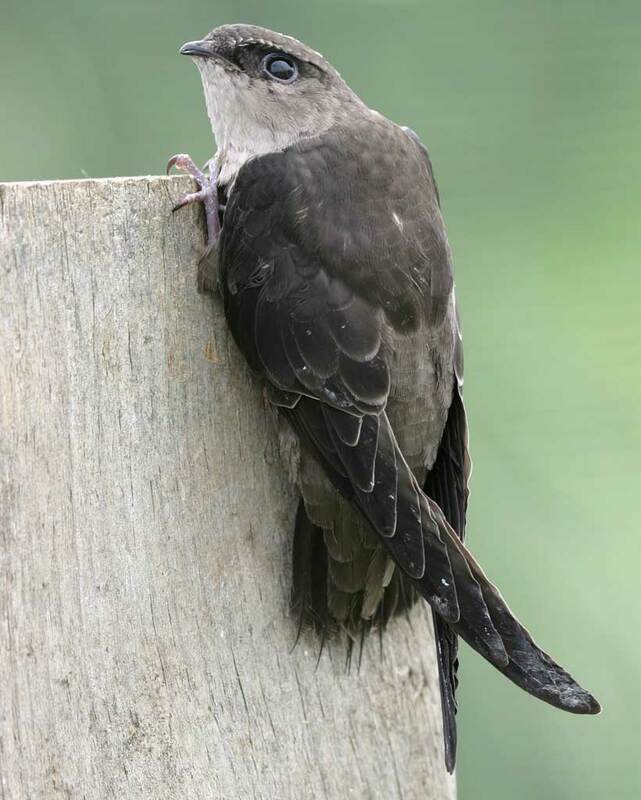 Chimney Swifts nest in chimneys, barns, old buildings, and hollow trees and are a common summer resident. You may have noticed them in constant flight over your home with their distinguishable twittering sound. It would be rare to see one below building height. We are always amazed with the migration of hummingbirds, but these birds will summer as far north as southern Canada, and return to their winter grounds in the Andes Mountains of Peru. That’s an amazing journey indeed. The Common Nighthawk is another interesting bird to be on the lookout for while you are enjoying fall evenings in a well-lit park or perhaps attending a high school or college sporting event. Pay attention to the large lights around the sports fields. Common Nighthawks make great use of these lights as they swoop and dive for the insects that gather. The Common Nighthawk is a member of the Goatsucker family, a small family of birds known for their wide mouths and night-time activities. 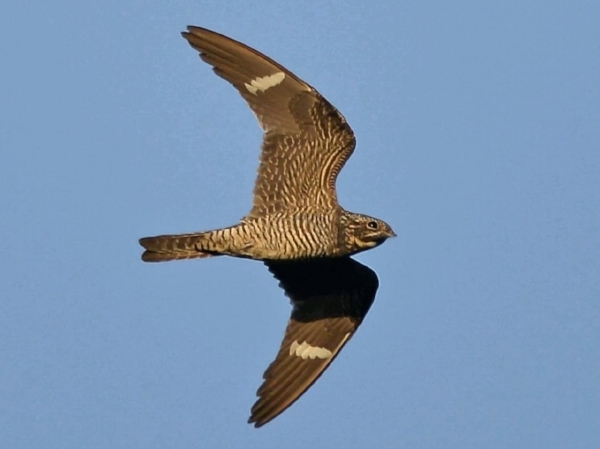 Common Nighthawks are about 10 inches in length with long pointed wings, and a slightly forked tail. While in flight the prominent white wing bars are easily seen. Its colors range from dark brown to gray with underparts whitish and barred. Males have a white throat. Listen for its characteristic “peent” call. During fall migration large flocks of up to several thousand have been seen.